Auburn must fight and fight ……….until the last second. Okay—What’s the Deal with this Season?? – Alabama: They started off weak. Honestly, if the Iron Bowl had been played during September or much of October, Auburn probably would have won and almost certainly would’ve been favored. And if they’d played any other tough team during the first four or five weeks of the season, they’d surely have lost that game, too. But, as of November, they’re playing like a team that deserves to be ranked in the top four. Ugh. – Arkansas: They almost made it two full seasons without winning a single SEC game. Auburn hammered them in the opener, 45-17. And yet here we are in late November and they have just delivered the mother of all shut-out beat-downs to former playoff team Ole Miss. – LSU: They’ve been all over the radar this season. Up and down, back and forth. There’s virtually no way to draw a bead on this team. They were crushed by Auburn and yet nearly beat Bama. They are as much an enigma as their coach has always been. – Ole Miss: Their season has in many ways mirrored our own. Once a shoo-in for the Playoffs, they have now lost in a blowout and lost to a team they had no business losing to. (Sounds familiar, right?) They are in free-fall and are probably the one team whose fans are even more disappointed than Auburn fans are at this point. Texas A&M: Talk about schizophrenia! Alabama dropped a nuclear warhead on them, and then they turned around and shocked (an admittedly self-destructing) Auburn. They’ve been all over the map this season, too—just like everyone else. Florida: One of the most horrible, wretched teams in the conference this year, and yet they hammered Georgia and—be honest—you know you wouldn’t be totally shocked if they upset FSU. It’s insane. Georgia: Most weeks they’ve looked like a juggernaut. They even crushed their main rivals for the SEC East title—Mizzou—in Columbia, 30-0. And yet they lost to South Carolina and got bushwhacked by Florida and won’t even make it to Atlanta without help from somebody else beating Missouri. What can we possibly make of all this? 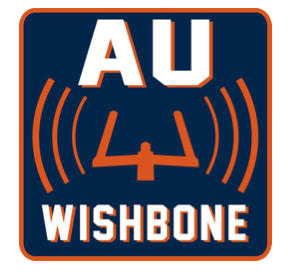 We of the Wishbone have no real idea, other than to (as always) point out that the SEC is so tough from top to bottom (Vandy excluded, this year) that these sorts of things just happen. You really have to expect the unexpected on a weekly basis. And beyond that, we have to understand that while the last few weeks of Auburn’s season have been disappointing and downright strange, we are FAR from the only program in the conference that finds itself looking in the mirror here in late November and wondering just exactly what it’s seeing. 1) After the Texas A&M and UGA games, Auburn is clearly not playing its best football heading into this game. But if Auburn were playing its best football, could it win in Tuscaloosa on Saturday night? Abso-freaking-lutely. So we just have to have faith that Gus and the coaching staff and the seniors on this team will have the team prepared and ready to play the best game of the season. You don’t think this Auburn coaching staff has been game planning and saving plays for this game all season? 2) But is Auburn really good enough? Forget how you feel, let’s look at few numbers. According to the Football Outsiders F/+ Rankings Auburn is the 8th best team in the country and the third best offense in college football (in the overall rankings Auburn is basically even with FSU and ahead of Baylor). According to Jeff Sagarin’s rankings Auburn is the sixth best team in college football. As Auburn fans our views are colored by recent experience but this team has played the toughest schedule in college football and has played well enough against that schedule to be ranked in the top ten in the country. 3) If Auburn is to have a chance to win this game it must limit the number of mistakes it makes. This Auburn team is absolutely capable of beating this Alabama team – but Auburn cannot beat Alabama, itself and the officials. Auburn needs to play a much more focused and disciplined game than it has this year at any time. Fewer penalties, missed assignments, dropped balls, etc. That will go against character for this team but it is possible. 4) One thing Auburn does have going for it – this team has been battle tested on the road. Playing a top 10 team on the road in that particular team’s “biggest game of the year.” Yeah, we did that three times already. 5) On offense Auburn needs to do what it did last year and have success running straight ahead. Running wide against this Bama defense is not a plan that works, as seen recently by Mississippi State’s game in Tuscaloosa. LSU ran the ball straight ahead at bama for 183 yards and almost beat them – and LSU’s quarterbacks are awful. Tennessee ran for 4.2 yards per carry against this defense – and UT isn’t nearly as good as Auburn at running the ball. 6) Auburn needs Duke Williams to return and be a factor. For Auburn’s offense to function at a high level in this game it will need to convert some third downs. On those plays Duke Williams can be the difference in the game for Auburn. This Bama defense is good – but it is not better than the Ole Miss defense that Auburn went in and moved the ball on in Oxford. 7) On defense Auburn needs to attempt to contain Amari Cooper and then stop the run. Lane Kiffin likes to force feed the ball to Cooper. He has more than eight catches in six of seven SEC games and many more targets than that. Cooper banged his knee up last week against Western Carolina – perhaps Nick Saban will have another brilliant idea such as having Cooper return kickoffs as he did with Julio Jones in 2010 (which kept Jones out of the second half of that game). 8) Given how Auburn’s special teams have performed this season this may be hard to conceive of, but Auburn is better on special teams than Alabama. In the FEI Special teams rankings (which includes all parts of special teams), bama is the worst special teams unit in the SEC and the 97th best in the nation. (Auburn is 90th – better, but not much.) One element of this is that Alabama’s kicker is 5 for 11 in field goals in conference play. What if Auburn held Bama to a few field goal attempts in the game? How much tension do you think that stadium and that kicker would feel on those attempts?? 9) This is an excellent Bama team but they are not perfect. They are 11th in the SEC in turnover margin in conference games– they have been more aggressive on offense this year but the result is that they are turning the ball over more. Additionally they are forcing a lot less turnovers than in the past. LSU took them to overtime. Ole Miss beat them. They beat Arkansas by one point. MSU played a terrible game in Tuscaloosa – and lost by five points. 10) Auburn is absolutely capable of moving the ball, scoring points, converting third downs , holding Bama to field goal attempts and making big plays on offense. Just like last year Auburn will come out and attack on offense and keep Bama off balance. Where is my podcast? I want my podcast! Van is under the weather this week and has lost his voice. As soon has he is feeling better and we can fit it into the holiday week schedule we will try and throw a podcast out there. We appreciate your patience, and we truly appreciate all our great listeners.